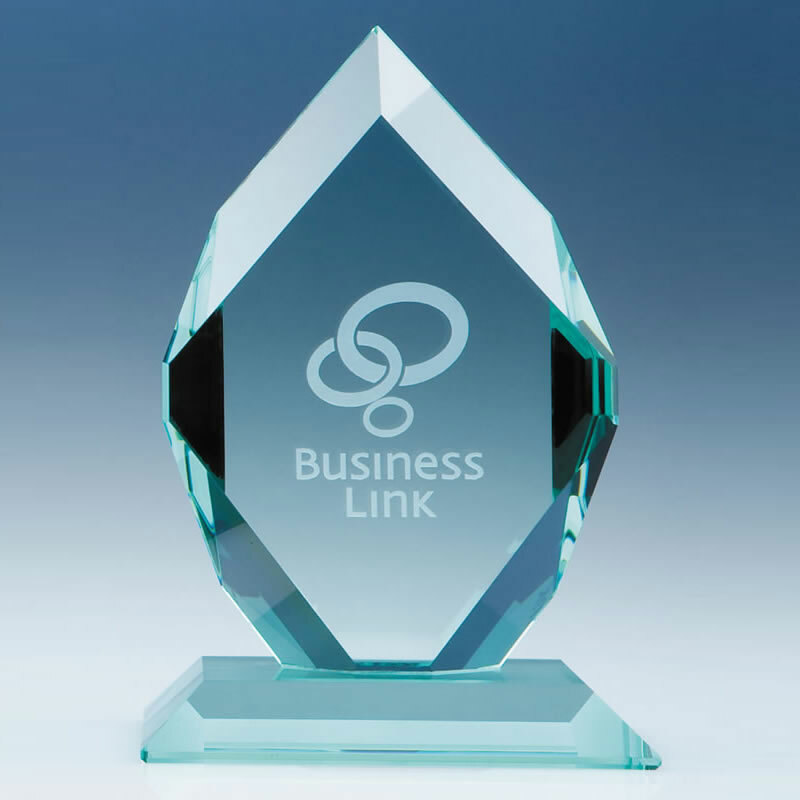 A regal jade crystal award from the world's leading maker of high quality crystal awards. These contemporary crystal awards feature a seven sided upright flat plaque with deep bevelled edges, set into a matching jade crystal bevelled base. They are created by the renowned crystal brand CrystalEdge and each award is hand finished to ensure perfection. The flat front of the jade crystal plaque can be engraved, and these awards are offered with low-cost engraving of text and logos. We also offer fixed cost UK delivery and fast turnaround on your order. Each CrystalEdge award is supplied complete with a blue presentation box.